Conveniently located 20kms away from the International Air Port, built on one of the finest scenic spots in the island, Pegasus Reef Beach Hotel is remodelled and furnished with the most modern amenities, to let our valued guests - who remain a mix of local and foreign parties, in Business, transit, leisure tourist segments, zip into a high-end four star hotel experience, unlike any other. While playing the role of a most cared host for your hedonistic holiday escape, “Pegasus Reef” name has become one of the popular venues to hold variety of MICE programmes, magical wedding receptions and a most sought after locations for honeymooners. 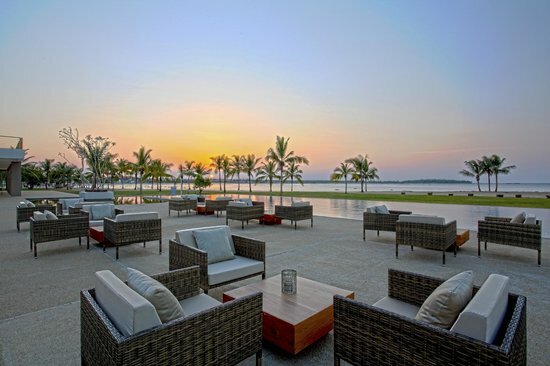 Set amidst the beautiful shores of Pasikudah Bay, Amaya Beach Resort & Spa Sri Lanka with its ever attentive staff, large guest rooms and suites and endless spacious, dreamy, hallways epitomize the ideal hide-away of soothing tranquility. Known to have one of the longest stretches of shallow coastline in the world, the coastal community of Passikudah is about 35km Northwest of Batticaloa. The resort, which is on the east side of the island, is about five hours away from Colombo by road. But what draws tourists to this location is Passikudah’s bay which is truly magnificent and is protected by a reef that runs across making it one of the safest and calmest stretches of coastline in the east. The reef is home to lovely coral formations and reef fish with dotted palmyrah trees with sand so soft it almost disappears in your hands. 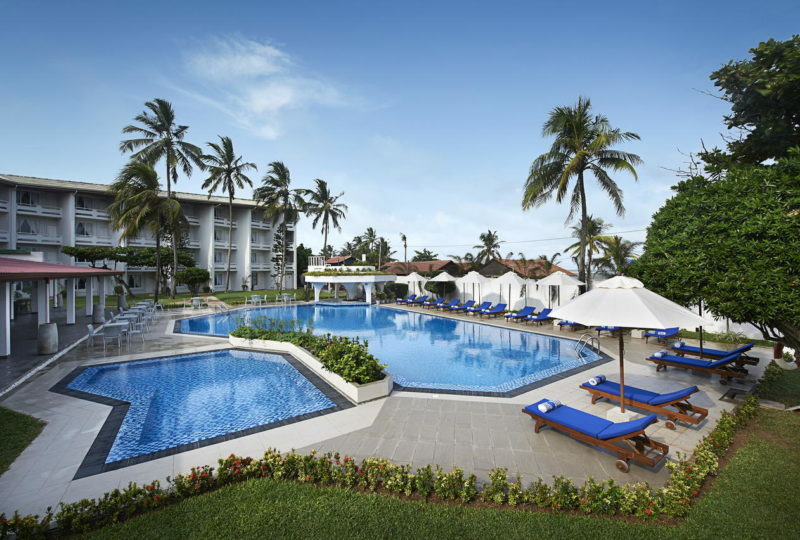 "The Palms" is situated in the South Eastern Coast in Moragalla - Beruwela about 90 kms from the Colombo International Airport, on the famous Beruwela Golden Mile stretch. The hotel opens up to the magnificent white sandy beaches engulfed by the reef and surrounded by a canopy of greenery, thus creating an ambience of experiencing picture perfect sun sets, a real Sri Lankan holiday indeed!! 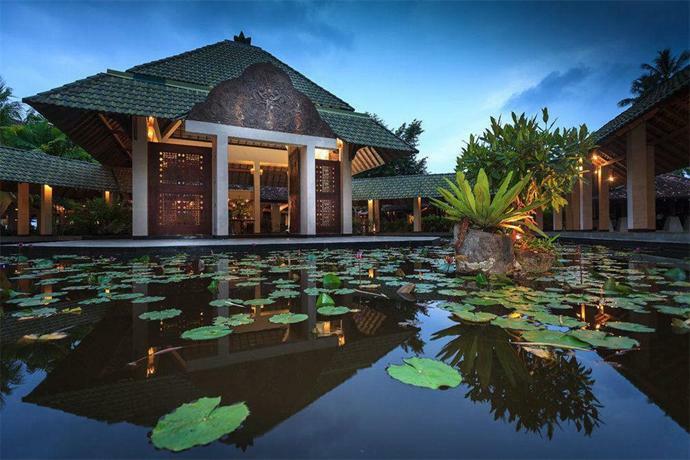 The property is situated in a sprawling area of 8 acres, with 106 well designed rooms having all modern amenities including 8 beautiful spacious suites - the unique feature being that from every room in the resort you have a panoramic view of the ocean. As guests' enter the hotel, each one of them will be personally escorted through fascinating water cascades and gardens, and treated to a courteous and charming Sri Lankan welcome and hospitality. 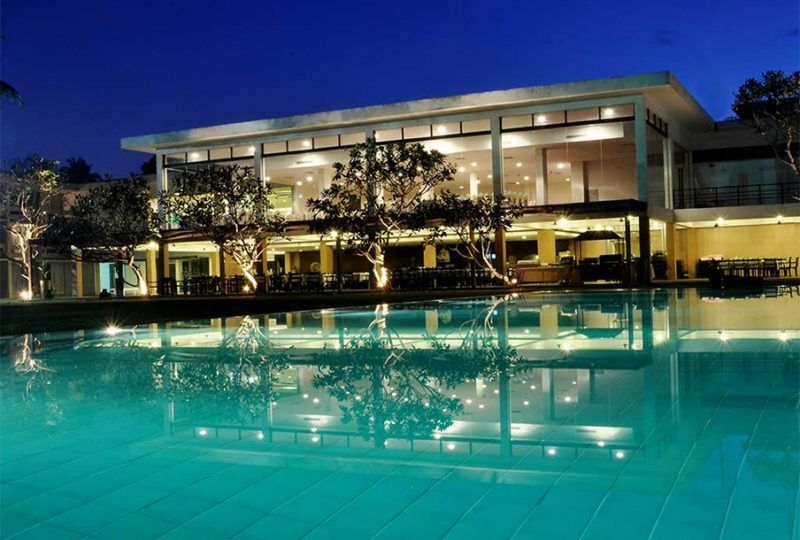 Wrapped in blue waters and abundant greenery, the hotel is located 10km south of Colombo, in the city of Mount Lavinia. Exuding charm and beauty, its white beach is a grand marvel. The tropical richness provides non-stop fun activities for all, creating lasting memories for a lifetime.